Can I Play Take 5 Online? Read Reviews! Take 5 Exposed — The Best Odds in New York! If you’ve taken a look at the information above, you may be wondering whether Take 5 from New York is worth the one dollar you’ll have to spend on buying a ticket. While it’s true that the lottery doesn’t produce the biggest jackpots out there, it does feature spectacular odds. This fact alone may be sufficient to motivate you. Let’s take a look at the other Take 5 characteristics to see what it brings to the table. The first Take 5 drawing occurred during the cold February of 1992. Originally, the drawings occurred solely on a Friday, but gradually, the popularity of the game increased. Today, drawings are held every single day. Over the years, Take 5 has acquired a big number of fans due to the facts that it has great odds (due to the small numerical pool). According to one of the lottery’s ads, Take 5 produces 100,000 winners per day. While most of these people end up winning a relatively small amount, the result is rather impressive for a modest state lottery. Is Take 5 a Scam? Take 5 is one of the games in the portfolio of the state-run New York Lottery. The establishment of the state lottery took place in 1966 when constitutional amendments authorized its setting up. The main aim of the organization’s establishment was to generate funds for initiatives and projects in the field of education. With its long history and many games in its portfolio, New York Lottery is completely legitimate. Funds under the lottery are operated by the New York Department of Taxation and Finance, which is obviously a good sign. Apart from Take 5, New York Lottery is responsible for an array of additional games like Win 4, Pick 10, Quick Draw, Lotto and Cash4Life. The lottery also has an array of instant win scratch card game and it’s the local operator for Mega Millions and Powerball. Playing Take 5 is really, really, really simple. All that you have to do is acquire your 1-dollar slip, mark 5 numbers from the set of 39 and you’re done. In order to win the jackpot, you’ll have to match all 5 numbers for the respective daily drawing. Drawings are held every single day and tickets for the respective one can be acquired until 11pm for the respective drawing. Apart from the standard game play, Take 5 features an additional option called instant win. To activate instant win, you’ll have to pay an additional dollar. In order to win, you’ll have to match at least one of your 5 numbers to the instant win numbers for the respective drawing. In essence, this option provides some additional prizes on top of the standard tiers. Players who match all 5 numbers for the respective drawing will win the Take 5 jackpot. The odds of this happening are 1 in 575,757 – pretty impressive in comparison to other lotteries. The only downside is that Take 5 doesn’t accumulate massive jackpots. Currently (as of mid-July 2017), the jackpot is about 57,000 dollars. The biggest jackpot in the history of Take 5 was 156,926 dollars. The lucky winner is called Clarence Clawson from Limestone and he managed to keep the win a secret for approximately one week before everyone found out. He was the only lucky individual to claim the sum. To win the second prize, players have to match 4 numbers. The odds of this happening are 1 in 3,386 and the award can be expected to reach approximately 500 dollars. Three correct numbers produce the third prize (25 dollars) and 2 correct numbers will lead to a free quick pick ticket. Take 5 comes with overall odds of winning a prize in the 1 to 8 range – these are excellent statistics for lottery enthusiasts who choose their games on the basis of number and statistical analysis. One thing to keep in mind is that all prizes are paid on a pari-mutuel basis. This means that the respective prize pool is split evenly between all of the individuals who have the correct set of winning numbers. Prizes of up to 600 dollars can be claimed at any New York Lottery licensed retail venue. Players have up to one year after the date of the drawing to make a prize claim. People who win larger sums and jackpot winners will have to follow a prize claim procedure listed on New York Lottery’s official website. Such winners should fill out an Authorization for Deposit and a Change of Winner Status Form. There are numerous New York State Lottery customer service centers that can provide additional information about all specifics of the procedure. 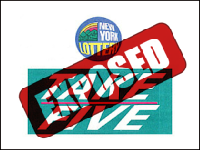 The state of New York does withhold taxes prior to the payment of lottery prizes. The federal withholding is 25 percent for US citizens and 30 percent for foreigners who win the lottery. Such taxes are withheld by the Gaming Commission on prizes that exceed 5,000 dollars. In addition, there’s an 8.82 percent New York State withholding and a 3.876 New York City withholding. Can You Play Take 5 Online? Take 5 is a state lottery. The good news is that unlike many other state lotteries, this one can be played online. It’s available through online lottery agency websites that will be responsible for buying the tickets on behalf of their international clients. Would you mind rating Take 5? As far as lottery breakdowns go, we couldn’t get any more detailed than this and we hope that the information has been helpful. Take 5 is legitimate and cheap to try. As long as you’re not expecting massive jackpots, you’ll probably be satisfied with this opportunity. How Much Does It Cost to Play Take 5 Online? Draws everyday, 1 dollar ticket cost, high odds of winning, easy to play, impressive jackpots. all these have the makings of a good lottery and I’m sold on Take 5. I have won a few secondary prizes on this lotto and I would recommend to anyone who isn’t looking for anything too complicated but wants to try out their luck.